Asian Delivery Restaurants Takeaway Lanzarote | Asian Delivery Restaurants Takeaway Playa Blanca | Asian Delivery Restaurants Takeaway Yaiza | Asian Delivery Restaurants Takeaway Puerto del Carmen | Asian Delivery Restaurants Takeaway Costa Teguise | Asian Delivery Restaurants Takeaway Arrecife | Asian Delivery Restaurants Takeaway Puerto Calero | Asian Delivery Restaurants Takeaway Macher | Asian Delivery Restaurants Takeaway Tias | Asian Delivery Restaurants Takeaway Playa Honda | Asian Delivery Restaurants Takeaway Haria | Asian Delivery Restaurants Takeaway Playa Honda | Asian Delivery Restaurants Takeaway San Bartolome . Beef & Fillet Steak There are 20 products to choose from. 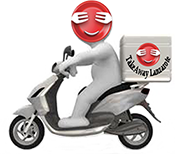 Takeaway Lanzarote - Restaurants Puerto del Carmen Restaurants Takeaway Playa Honda | Asian Delivery Restaurants Takeaway San Bartolome .